Homeowners aged 18-24 are much more likely to have faced mortgage rejection than older applicants, according to research by Which?. Four in 10 (41%) homeowners aged between 18 and 24 said they’d had a mortgage application rejected in the past, compared with just 4% of those aged 60 or above. 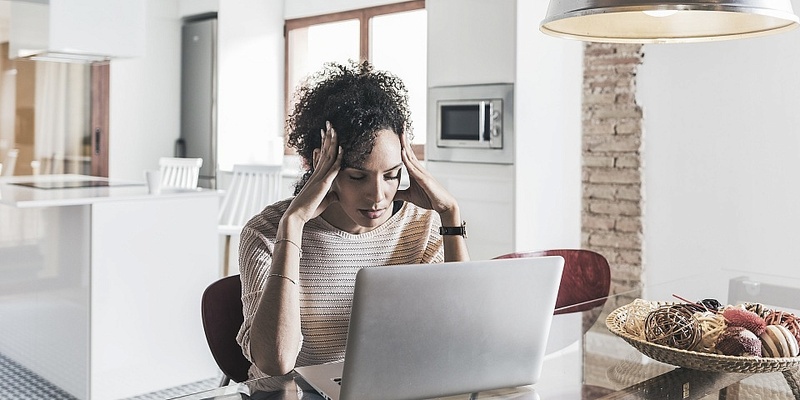 Below, we explain the most common reasons for failed mortgage applications and explain steps you can take to improve your chances of a lender saying yes. For advice on the lenders most likely to accept you for a mortgage, and expert help with applying for a deal, call Which? Mortgage Advisers on 0800 197 8461. As part of our 2018 mortgages survey, we asked over 3,500 people whether they’d ever had a mortgage application rejected. One in six said yes, but as our survey only questioned those who currently have a mortgage (and so were, in the end, successful), the number may actually be higher. We also found stark differences between the youngest and oldest respondents, as the chart below demonstrates. Money has a lot to do with this difference. As younger buyers tend to have smaller deposits and lower incomes, mortgage lenders are more stringent when they assess whether to lend to them. Younger applicants will also have had less time to spend building up a strong credit score. But it wasn’t just age that affected people’s mortgage chances; geography made a difference, too. Our survey found that people living in London had the hardest time getting accepted, with 29% saying they’d had an application turned down compared with just 11% of those in the South West. Why do mortgage lenders reject applications? Current affordability: unsurprisingly, the mortgage provider will only want to lend to you if they’re confident that you can afford your monthly repayments. Reign in your spending in the months leading up to your application and cancel unused subscriptions and gym memberships to improve your chances. Poor credit score: probably the biggest factor in a lender’s decision, your credit score is influenced by past and current borrowing, whether you’re registered on the electoral roll, how long you’ve lived at your current address and much more. Spend time building this up if it’s not great when you check it. Future affordability: lenders will look at whether you could still afford your mortgage if rates were to rise. You can use our mortgage interest calculator to see how just a small rise in rate could affect your monthly payments. Recent job move: many lenders require you to have worked for your current employer for at least six months, as this indicates that your income is relatively secure. Consider delaying a job change until after you’ve applied for your mortgage or wait until you’ve been there a while to increase your chances. Down valuation: even if you’re the perfect applicant, the lender won’t lend to you if its valuation suggests your property isn’t worth the amount you want to pay for it. Find out how to decrease the likelihood of getting rejected with our guide to improving your mortgage chances. Is a mortgage rejection really that bad? Having a mortgage application rejected is a pain, as you’ll have wasted time getting all your paperwork together. But it can also have more serious consequences. A mortgage rejection will leave a mark on your credit file, and this will be visible to other lenders who you apply to in the future. This won’t automatically mean another rejection, but the new lender will certainly want to know why your previous application was turned down and this may influence its decision over whether to lend to you. If you’ve had a mortgage application refused, you may need to spend time building your credit rating back up. Our research found that the most common length of time people waited before being accepted by another lender was three to six months (33%). If you’re planning to apply for a mortgage and want a recommendation on the lender most likely to say yes, or if you’ve had an application turned down in the past and would like advice on next steps, call Which? Mortgage Advisers on 0800 197 8461. Alternatively, you can fill in the form below for a free callback. How much mortgage can you borrow?